The devastating Camp Fire caused 86 deaths and $16.5 billion worth of damages. PG&E estimated its total liabilities at nearly $69 billion. California utility PG&E could have to fulfill fire-safety provisions before it can resume paying dividends to the company's shareholders. A hearing scheduled for Tuesday could determine whether or not U.S. District Court Judge William Alsup can impose sanctions on the utility company for being generous with shareholders while failing to invest in inspections and tree-trimming protocols that could prevent wildfires. “To ensure that sufficient financial resources are available for this purpose, PG&E may not issue any dividends until it is in compliance with all applicable vegetation management requirements,” Alsup wrote in a March ruling. His existing oversight of PG&E comes from a 2016 court decision about a gas explosion in 2010 that killed eight people. The utility was put on probation, which Alsup determined it violated. “The offender’s unsafe conduct has led to recurring deadly wildfires caused by its electrical system,” he wrote. Mike Stone, a senior fellow at The Samuel and Ronnie Heyman Center on Corporate Governance and adjunct professor at Yeshiva University’s Cardozo School of Law, characterized unusual sanctions as unusual but not unheard-of. “It’s a novel idea, and courts previously have imposed monitors on the probationary conditions for corporations, with those monitors having very strong or broad powers in regard to how the corporation is acting and how they should act going forward,” he said. For Wall Street, the most significant of Alsup’s proposals would be a ban on dividend distribution, which is normally left to the discretion of a company’s board of directors. There is already some precedent for these kinds of court orders in bankruptcy — which PG&E is undergoing, having filed for Chapter 11 in January as potential wildfire-related liability costs soared. Charles Elson, a corporate governance professor at the University of Delaware, said that companies under bankruptcy court oversight can have little say in what kind of stipulations or mandates are imposed on them. “The bankruptcy judge has the authority to do basically anything they wish with the company,” Elson said. “Effectively, he or she is running the business.” Elson added that the priorities of creditors took precedence. In PG&E’s case, Alsup is effectively saying that the priorities of safety regulators — and the safety of California residents facing the upcoming fire season — trumps that of the utility’s shareholders. 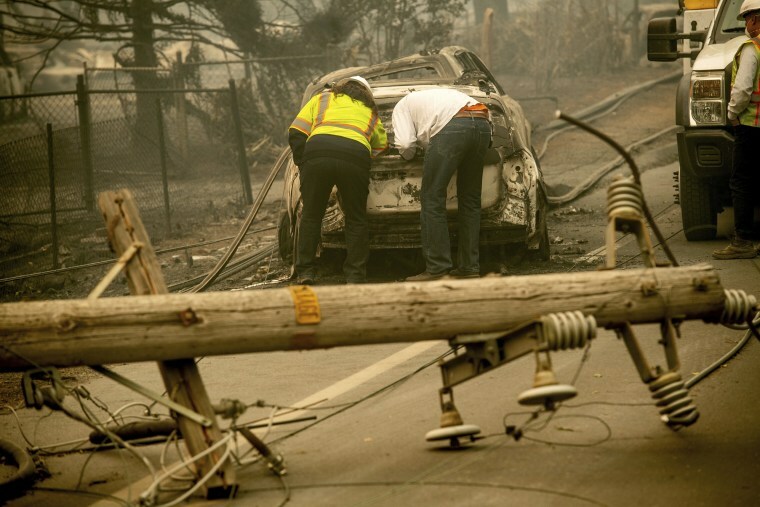 Alsup had initially sought stricter mandates for PG&E, including requirements that it reinspect the entirety of its electrical grid, remove all trees or branches that could hit power lines, and cut power to areas when the risk of wildfires was deemed high — requirements PG&E argued would be prohibitively expensive to implement. At this point, the issue of dividends is more of an academic question; PG&E announced a suspension of dividends at the end of 2017. But if Alsup prevails, companies and industries will need to consider how their actions could impact shareholders, if future courts seek to address gaps in the regulatory landscape.